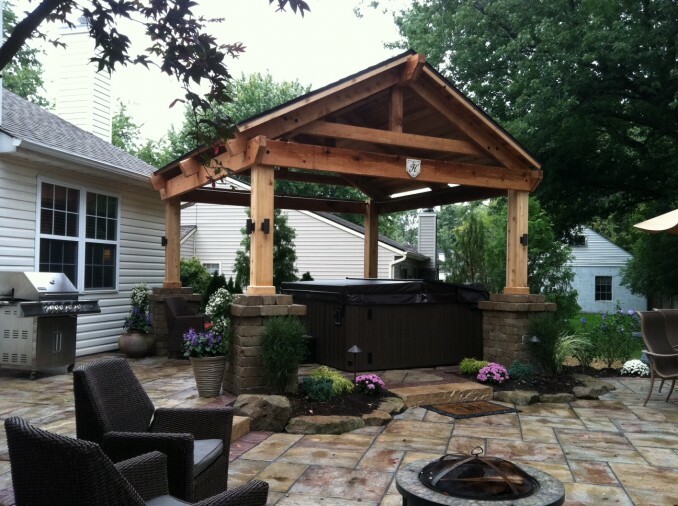 The greatest thing about our job is that we can constantly “re-invent the wheel.” Our client in Avon Lake, Ohio wanted a structure that looked like an open air pergola that had a roof for protection for the use of their new hot tub. Exposed cedar beams and cedar tongue and grooved planks composed the structure. After, we installed 30 year shingles to match the existing ones on the home. Structures can be made from just about anything you can dream of. Let Greensource figure out one for you!